As one of the world’s foremost speakers on motivation and vision, Eric Bailey draws on his successful careers in professional sport, executive management and sales. His life experiences have enriched his endeavours and given him a unique perspective that he is now offering to the world. While he had a difficult start growing up in South Central Los Angeles, he has gone on to deliver powerful and inspiring keynotes that speak to every group and gender. In fact, Eric has spoken to more than 3 million people worldwide and is Google ranked No. 1 Activational Speaker. In 2015, he was voted as the Top 22 Motivational Speaker in the world. With over 20 years’ experience inspiring and motivating millions of people, Eric commands a room like no other, leaving his audiences in awe. Whether delivering his message to corporate teams or student groups or conducting personal mentoring and coaching, he is the spark that ignites the passion in each of us. To his credit, he transforms the lives of people of all ages and varying cultures around the world. Eric holds the Certiﬁed Speaking Professional (CSP) designation, conferred by the National Speakers Association and the International Federation for Professional Speakers. His inspirational stories, along with actionable takeaways, make a real difference. Eric Bailey has participated in many charitable activities and personal areas of public interest. Among them, he is the ambassador of three non-profit organizations including White Ribbon, Adopt Change and Nourish the Children. Together with these accomplishments, Eric has been featured in the highly acclaimed World Class Magazine. He has also released his much anticipated first book – ‘Bring Your A Game’. 2016 has already surpassed the expectations of Eric and the Eric Bailey Global Team. We are so blessed to have been selected from a global pool of entrepreneurs, CEOs, world leaders and celebrities to be featured on the front cover and have a four page layout inside such a prestigious publication. World class Magazine has given Eric the opportunity to share his vision and passion to a worldwide audience in a ‘no-holds barred interview that you can view here. The main objective of the magazine is to interview and feature top achievers in all areas of life — entrepreneurs, world-class athletes, bestselling authors, top doctors, celebrity plastic surgeons and dentists, and high profile thought leaders. Eric has joined an esteemed list of high profile names such as Oprah Winfrey, Sir Richard Branson, Robert Kiyosaki, Dr. Bill Dorman — (ABC’s “Extreme Makeover”), Dr. Raj Kanodia — (World’s Leading Plastic Surgeon), John Assaraf — (featured in the movie, Secret), and Loren Ridinger — (MarketAmerica.com) to be featured on the cover and also inside the magazine. With over 3 million people in 10 countries worldwide that have witnessed Eric’s passion and experience, this wonderful opportunity will allow him to empower, motivate, and inspire a whole new generation and demographic. This publication combined with Eric’s newly released book ‘Bring Your A Game’ has already brought enormous global media attention with his message of hope, resilience and success. 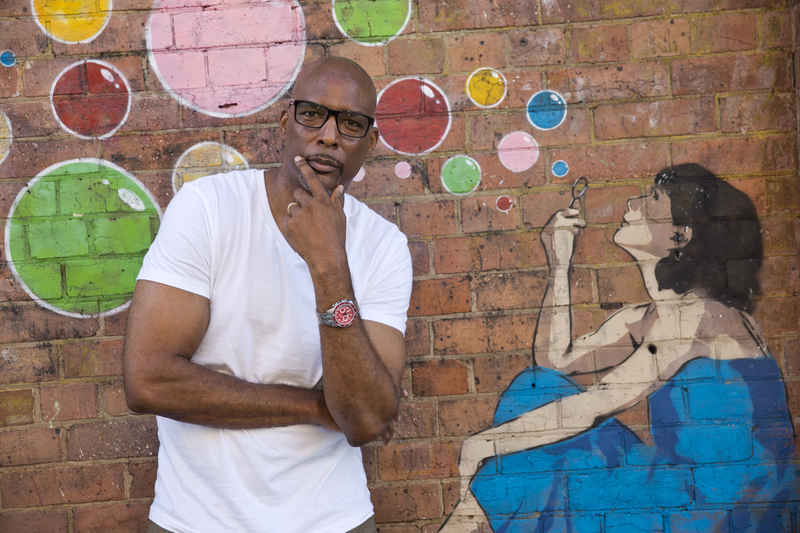 Eric Bailey, motivational and activational speaker, former professional athlete and NBL legend, was so hungry to help those in need that he wrote, published and released his new book, Bring Your A Game, within less than a month – just in time for the start of the school and business year. Through his vision and undertakings as a key note speaker, Eric found that his audiences were lacking the guidance needed to move forward and empower their own lives. He seized the opportunity and began to record the story of his life in a way that could be used as a guidebook to help empower teenagers who lacked self-esteem right through to corporates who were looking for success, leadership and achievements in their own careers. Based in Brisbane, (Australia) the former NBL player with the Hobart Devils, Melbourne Tigers and Gold Coast Rollers is a regular keynote speaker in the education and corporate sector on a global level. Eric draws on his successful career and his adversity growing up as a young, desperate man in the ‘Hood’ whom withsheer determination and mindset, has gone on to achieve incredible success. His unique and personable way of sharing his life story and lessons learned has connected with over 3 million people worldwide to date and continues to grow at a rapid rate. Eric knows that through his new book, Bring Your A Game, he will be able to help completely transform lives and change individuals, helping them to achieve success despite the challenges they may face. The book, Bring Your A Game, helps readers navigate the waters of abandonment and anticipation to success and achievement. Based on the former NBL’s professional life as an athlete, Eric shares raw and often bitterly revealing recollections of the discrimination, economic uncertainty, loss and abandonment that served as his initiation into the world. His new book is about overcoming adversity and navigating life’s difficulties, in order to empower those feeling powerless in their own lives to go on to achieve their own personal success. Available: www.ericbaileyglobal.com, www.amazon.com or www.inhousebookstore.com.au For every book sold, Eric will donate 10 percent of the proceeds to his charity Nourish the Children. Eric has been interviewed by: Entrepreneurs, World Class Magazine, 21st Century Media, ABC, Channel 10, Channel 7, SBS, Today Tonight, Insight, Fox Sports and numerous radio shows and newspapers. Eric has received the highly coveted Certified Speaking Professional designation. Our company conference would not have had the buzz and excitement without Eric Bailey as our Keynote Speaker. Eric shares his life experiences in a way that brings honesty and touches everyone in the room. He has a great ability of using these personal challenges and relates them to a business environment. He took the time to learn who we were and weaved this knowledge throughout the presentation so that everyone understood how to take his philosophies and ingrain them into our business lives. Thank you Eric for the opportunity and the inspiration you have left with us all. Eric Bailey mesmerized our sales and management team with his messages of mental toughness. Our reps are three months into the program and we have seen vast improvements, and they are getting tougher every day. Eric is a shining example of what can be achieved with true grit and determination. He represents ‘Getting Off the Nail’ better than anyone else I have met or listened to. As an inspiring speaker he is engaging, spirited and a true showman. He will supply a tremendous framework to any conference, management seminar or employee away-day. We are incredibly pleased with how well Eric demonstrated his understanding of our objectives and very impressed with the extent to which he tailored his speech to our needs and the audience of Senior executives who left this important conference motivated and inspired. His genuine passion is quite obvious. He inspired us all to embrace the message that it is possible to achieve the seemingly unachievable. His message was focused, powerful, inspirational, and lasting. I would certainly have no hesitation in recommending Eric Bailey as a speaker. Eric – our conference attendees enjoyed not only your message, but also the humorous and real-life way in which it was delivered. The ratings you received on our Speaker Evaluation Survey were all “Excellent!” We look forward to working with you again in the future. Eric – in a world of global diversity you have demonstrated that anything is possible. Your journey from South Central Los Angeles to sharing the stages in 10 different countries with the likes of Sir Richard Branson, Tim Ferris, Harry Dent, and world leaders like Prime Minister of Australia John Howard you have shown that colour, race, gender, and religion doesn’t prohibit one from following their DREAMS. Your ability to bring various themes into the motivational speech impressed me, our program committee, and the 800 strong in attendance. We especially liked the tangible objects you gave to each audience member, symbolizing the topic and message you delivered. ‘Getting off the Nail’ will resonate with me and the audience forever. Your presentation was an integral component of our Diversity Theme. We walked away with more than just a few philosophical ideals; we learned how to put diversity and inclusion into action. Eric you are a great role model and inspiration to all that hear you. Keep helping people ‘get off the nail’!